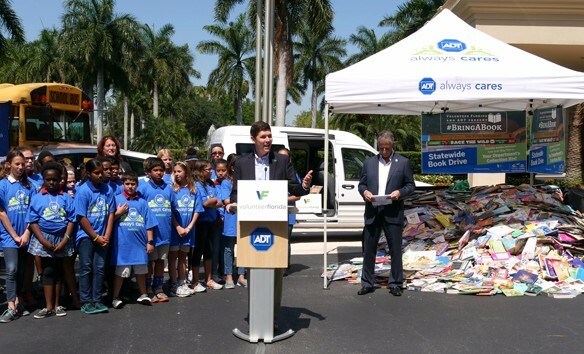 TALLAHASSEE – Volunteer Florida and ADT announced at a book distribution event today that the month-long #BringABook service project collected 10,000 books for Florida students. The event, which was co-hosted by ADT and Volunteer Florida, was held in conjunction with Florida Volunteer Month and the ADT Always Cares Annual Week of Service. Throughout April, ADT employees collected new and gently-used elementary school books from employees at 18 ADT offices across the state. The books will be donated to recipient organizations in each region – remaining in communities where ADT employees live and work. In South Florida, the recipient organization is the Literacy Coalition of Palm Beach County. 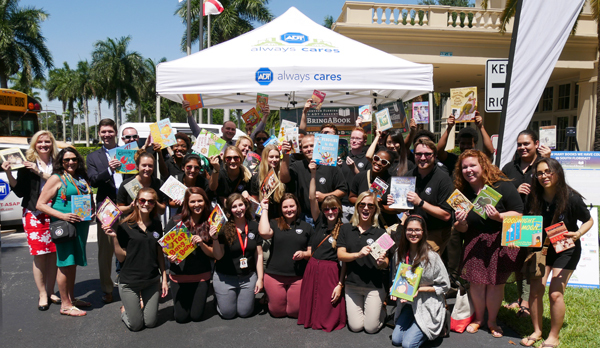 A Volunteer Florida grantee, the Literacy Coalition of Palm Beach County will deploy its 40 AmeriCorps members to mentor and tutor students over the summer months using some of the books collected during #BringABook. Students at Citrus Cove Elementary School in Palm Beach County also participated, collecting approximately 200 books from their classmates. 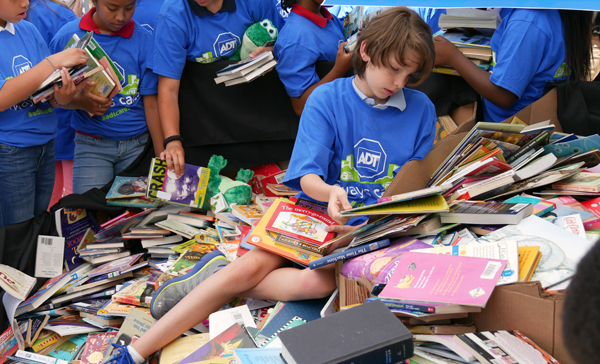 The Volunteer Florida and ADT #BringABook project collected over 10,000 books total. Volunteer Florida and ADT encourage Floridians to use the hashtags #ServeFL and#ADTCares when sharing their photos and service stories. To learn more about Volunteer Florida or find volunteer opportunities in your area, visit: www.volunteerflorida.org. Visit www.adt.com/cares to learn more about ADT Always Cares. The ADT Corporation (NYSE: ADT) is a leading provider of security and automation solutions for homes and businesses in the United States and Canada. ADT’s broad and pioneering set of products and services, including ADT Pulse® interactive home and business solutions, and health services, meet a range of customer needs for today’s active and increasingly mobile lifestyles. Headquartered in Boca Raton, Florida, ADT helps provide peace of mind to nearly seven million customers, and it employs approximately 17,100 people at 200 locations. More information is available at www.adt.com.